I am overjoyed to see the amazing effects; the awakening and embodiment of your Higher Selves have on your planet and galaxy. Everything is intricately connected; what each of you experience daily in your life, we your Guides, Angels and your Galactic Brothers/Sisters, feel it too. We are excited! Everything is going so well, way beyond our more realistic expectations! More and more of you have begun to live an 'authentic' life; staying true to your Self and always following your Inner Guidance and Higher Heart. Releasing everything that is not aligned with your Higher Path/Purpose has gradually become easier for you. You are all becoming a fully grown 5D adult; remembering how truly powerful your Higher Self is and what the Ascension process is truly all about. Your Higher Self, your great and powerful Soul, was created into being by God in His/Her perfect likeness. All of you, during the many lifetimes you spent in the higher dimensions, had once upon a time created Planets, Suns and Galaxies. You are all children of God/Source/Prime Creator, and yet, you are all Gods/Goddesses in your own right. Each soul was created with the very essence of Holiness and Divinity of Source, the All That Is. Now, have you ever wondered why God created so many souls, so many children? What was His purpose in doing so? It is really simple my friends. Our Creator longed to experience Himself as the Love that He Is. He created an infinite number of different expressions of Himself, so that He can experience Life through each and every one of you. He gave His 'Other Selves', i.e. your Higher Selves, the free will to do whatever you would like to do with the gift of life that He had given you. He then proceeded to create an unlimited number of physical 'playgrounds' for you to play in; located in various different dimensions, galaxies, planets and universes. He also created countless number of civilizations, all across the Multiverse. Within the great moment of NOW, all souls can choose for themselves, which dimension, the when and where they would like to go and what they would like to be/do according to their own Higher Purpose. All of you are exercising that gift of free will, in a way that suits your own Divine Will, your own Soul Path. Some souls decided to spend the majority of their time in the higher dimensional realms. The souls of the human collective belong to the brave, courageous and adventurous group who would like to experience life in one of the lowest of the lower dimensions; on a planet where impeccably strong illusions of Duality, Fear, Separation and Lack exist. You all came from complete and perfect Union with God/Source/Higher Self, and then chose to begin your 'Great Descend' down the proverbial stairs. Each time you took one step downwards you arrived at a dimension that was slightly lower than the one you just left, until you reached your intended destination. This proverbial staircase is your Great Path of Light. This entire process of the lowering of each soul's vibrations and consciousness; your soul's movement towards lower dimensions is called Descension. Every soul who chooses to descend (by lowering its vibrations) must first go through extensive preparations and training, to lower the shock it will experience when immersed in the midst of physical life in the lower dimensions such as third dimensional Earth. 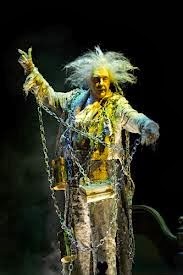 To you, the great soul, living in the third dimension can be likened to living in chains; with great restrictions of your soul power and with extremely limited freedom. You all came to Earth through the veil of forgetfulness ~ it was for your own benefit that in most Earth past lives you did not remember your wonderful, true Home in Heaven and your powerful, Divine Higher Self. Part of the preparations that you underwent was the stepping down of your vibrations. 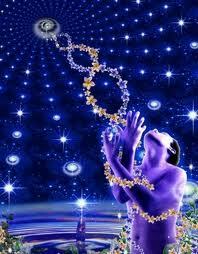 Your soul's naturally-high vibrations must first be lowered in frequency to match the frequency of the human body. This is of course for your own safety and the safety of everyone around you at the time of your birth into physicality. Once living on Earth, you then lived out your life according to your own will (either Lower or Higher Will) depending on whether you were following your lower self: the 'Ego' or your Inner Guidance coming from your team of Guides/Angels and Higher Self. The grand adventures of third-dimensional life on Planet Earth which had been going on for eons, are now about to come to an end. The beautiful, living Light Being that is Gaia: the planet Earth herself had cried out for help to all in the higher dimensional realms. She was more than ready to return to her fifth-dimensional self and she had invited everyone living on her planetary body to come and join her. Thus our God, the Prime Creator/All That Is, decreed and gave the all-clear that it is now time for Earth and all of its inhabitants to move into a higher dimension of consciousness. Every single human being currently incarnate on Planet Earth has, at a Higher Level, decided whether or not it is time for them to now 'Ascend'. 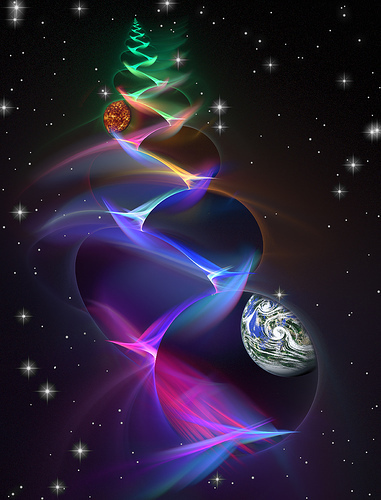 Humanity's next evolutionary step is to climb the steps, back upwards along your Great Path of Light; past the fourth dimension to eventually arrive at the fifth dimension. We, all the company of Heaven, have great respect for whatever decision each soul makes. To ascend or not to ascend is a deeply personal choice; one that is connected to your current Soul Path & your own Divine Will. Do not despair if it looks like your loved ones are not ready to ascend in this lifetime. A famous proverb that was written by the French theologian/poet Alain de Lille: 'All Roads Lead to Rome' perfectly describes this situation. Respect your loved ones' Higher Wills and understand that, eventually, all roads, all paths lead to Heaven/God/their Higher Selves. The Divine Timing of that rests in the very capable hands of the souls themselves. There is no right or wrong. There is no judgment. The souls who have decided to ascend now, in this lifetime are not 'better' than those who prefer to continue to 'play' their third dimensional games. Remember, all souls return to the perfect state of Oneness with Source, i.e. return to Heaven, at the end of each of their lifetimes/incarnations. After the end of each 'Life Review' process, each soul is then given the opportunity to incarnate in whatever dimension it wants. UP or DOWN the soul's Great, individual, Path of Light. Your unique, Great Path of Light, is completely different to that of another soul's. Thus no comparison is ever necessary. All of you who are reading this have decided to Ascend to the fifth dimension, whilst embodied on Earth. You have collectively made up your minds to return to the perfect state of Oneness with All That is/God/Source right now, when you are still physically incarnate on this planet. In other words, you wish to create, manifest and experience Heaven right here, right now in your current physical reality. Fifth-dimensional Earth, or, Nova Gaia is not a location for you all to go to. It is a higher state of consciousness that each and every one of you must constantly attain. It is your entire way of Being; it's the stepping up of your frequency to live in a constant state of Higher Vibrations. The vibrations of: Unconditional Love, Perfect Peace, Joy, Freedom, Unity and Abundance. Each and every one of you was born with a built-in GPS. Your way back HOME to the Light and Love of your Higher Selves/God may not be suitable for other people. Always follow the blueprint that your Higher Self has created and revealed to you, as this will always be Your unique way HOME; the brightest, easiest, most joyful and abundant path to Ascension that is just 'right' for you. Use discernment; follow your intuition and higher guidance when following the advice others had given you. There are many books, messages, articles, blogs or information out there that claim to be the 'Authority' to Ascension. If the information contained within those 'highly resonate' with the Truth that is within you, then follow their advice. You will instinctively know which ones are high-vibrational and created for the Higher Good of everyone reading it. If still in doubt, call out to us (your angels and guides) and we stand ready to provide clarity and assistance when requested. Trust and have faith, that wherever you are right now, however ready/not ready you feel, and whatever your loved ones' Higher Decisions are regarding Ascension: All is Well. All is Perfection. All souls will eventually return Home, back to God's loving embrace, at their own perfect, divine timing. Always. 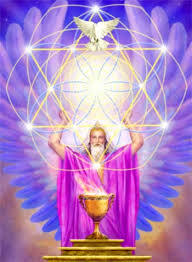 I am Metatron, one of the Archangels assisting Humanity with the Ascension process. Call on me whenever your road back Home gets a bit too tough and I will be there to strengthen, guide and support you so that you remain focused on your own Great Path of Light.